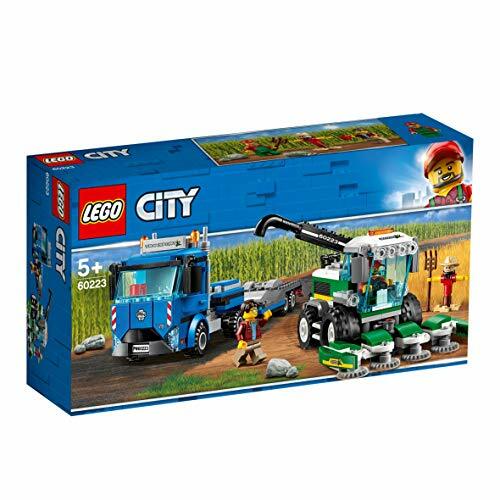 Help the LEGO� City farmer manage his crops with the 60223 Harvester Transport! 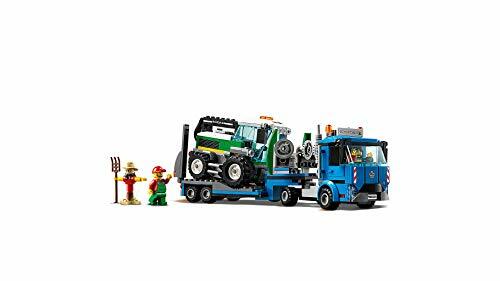 This heavy-duty toy transport truck features an opening minifigure cab and a hitch, plus a flatbed truck transport trailer with a holder for the harvester tool and 2 lowering ramps. 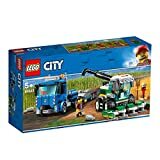 This fantastic farm toy also features a white, yellow and green toy combine harvester with an opening minifigure cab, removable harvester tool and articulated unloading auger at the back, plus 2 LEGO minifigures and a buildable scarecrow figure. Includes 2 LEGO� City minifigures: a farmer and a truck driver, plus a buildable scarecrow figure. 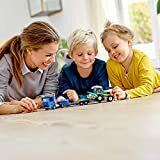 Features a large Harvester Transport toy truck with opening minifigure cab, dual exhaust pipes and a hitch, transport trailer with holder for the harvester tool, connector to hold the harvester in place and 2 lowering ramps. 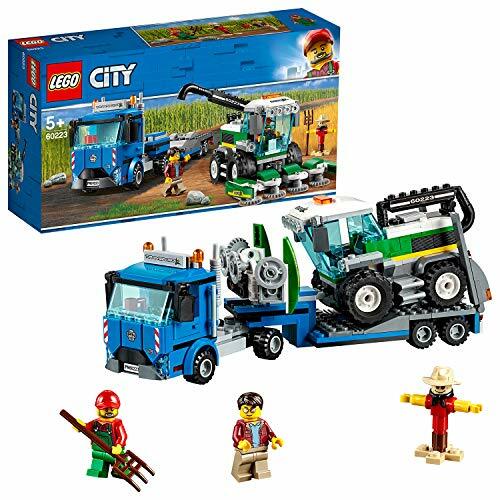 Also features a combine harvester with an opening minifigure cab, removable harvesting tool, articulated unloading auger at the back, and a connector to secure it to the transport trailer. 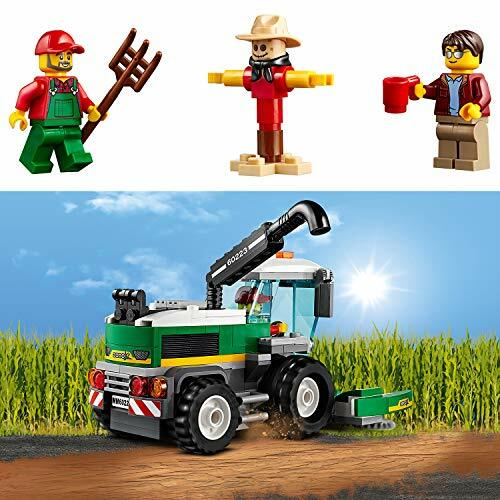 Accessory elements include a mug and a pitchfork. 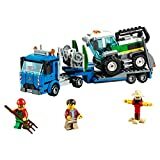 Unhook the transport trailer from the toy truck and lower the ramps to load the harvester. 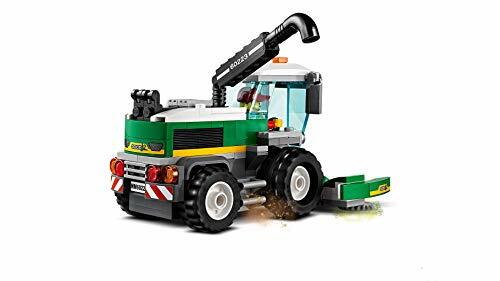 Remove the harvesting tool from the front of the toy combine harvester and attach it to the trailer. 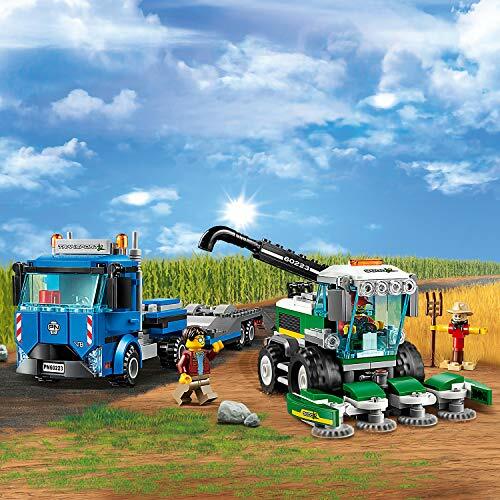 Secure the unloading auger and lock the combine harvester into place on the trailer. Raise the ramps, hook the transport trailer to the toy truck and haul the harvester away. 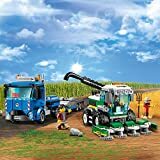 Harvester Transport with trailer measures over 3� (8cm) high, 12� (31cm) long and 2� (7cm) wide. Combine Harvester measures over 3� (8cm) high, 6� (17cm) long and 3� (10cm) wide. Scarecrow stands over 1� (5cm) tall.